Seniors Tess Garvin and Jana Kellogg reherse for the fall musical. The fall musical is "Newsies" where Garvin plays Katherine Plumber and Kellogg plays Medda Larkin. The musicals performance dates were Sunday, Tuesday, Wednesday and Thursday. 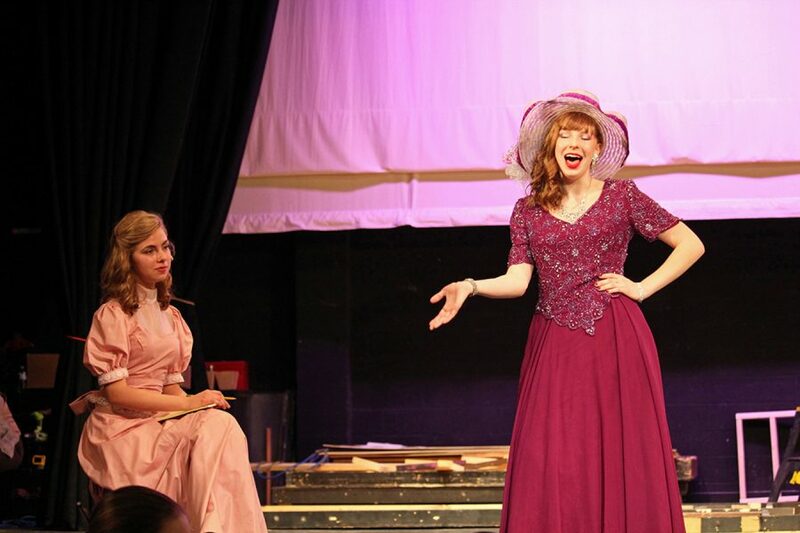 The cast and crew have worked since mid-September to prepare for their big performances, and even pre-show nerves couldn’t stop them from giving what stage director and drama teacher Ginny Pape considered to be an exceptional performance. Set in 1899, “Newsies” tells the story of a group of New York paperboys that decide to strike after the newspaper publisher makes it harder for them to make a profit off of selling papers. The strike is largely led by Jack Kelly, played by senior Finn Huslig. Their strike is aided by female reporter Katherine Plumber, played by senior Tess Garvin. This year, the cast and crew carried a great deal of energy and excitement that allowed them to grow closer together throughout their practices and performances. “All the cast members are really passionate about [the musical] and want to do a really great show and I think it’s important that we do really band together,” Garvin said. For senior cast and crew members, “Newsies” is their final musical at Manhattan High, making it a bittersweet time. 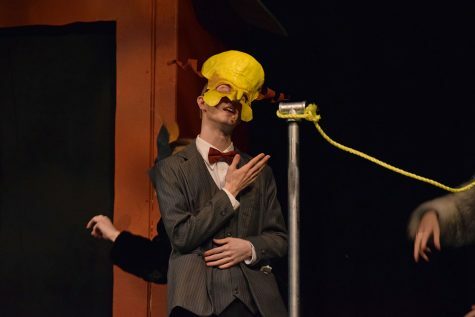 While the lead actors and actresses in any performance are important, Pape stresses the importance the large ensemble had in making the show something to remember. As the curtains draw shut and “Newsies” comes to an end, cast members reflect on the experiences that made the production something truly special for them. For Garvin, it was the “hype circles” the cast would have after a show. For Huslig, it was all the unexpected friendships he made. The best parts of “Newsies” were different for each cast member, but collectively, everyone came together to put on a production that resulted in large audiences and hundreds of smiles from both audience members and the cast alike.